We’ve reaching mid-December, and for many of you, landscaping has become something of a secondary chore for your lawn. Keep in mind that even during the winter season, it’s never a bad idea to keep your lawn pristine. If you want to have the beautiful colors of spring during the cold seasons, there are nurseries that carry year-round flowers. Feel free to pick up some of them and plant them in your yard. You’ll have the neighbors giving compliments and asking all kinds of questions. 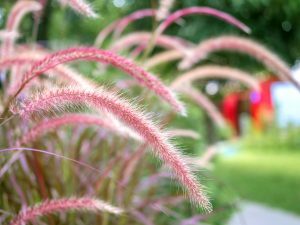 Some green-thumb experts like to suggest using ornamental grasses during this time. Ornamental grasses offer just enough color and appeal to make people look twice at your lawn – especially during the winter. These grasses are virtually pest-free and basically adapt to the ever-changing conditions of the state with proper care (watering, pruning, fertilizing, etc.). There are two kinds of ornamental grasses – cool-temperature grass and warm-temperature grass. Among the many kinds of cool-temperature grasses are fescues, bent grass, autumn moor grass, blue oat grass and Bermuda grass. Good luck with turning your winter lawn into a masterpiece. Our expert landscapers in Fort Worth TX will be happy to assist you with giving your lawn a year-round look that you can be proud of. In addition to advice on ornamental grasses, Blooms Landcare also specializes in seasonal color installation, which enhances your lawn for all seasons. Call us today, or contact us online for more information.